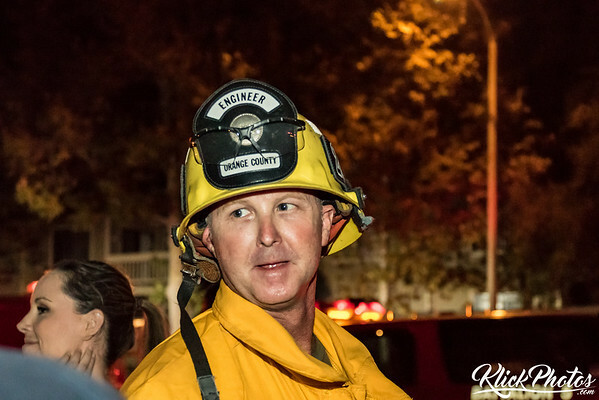 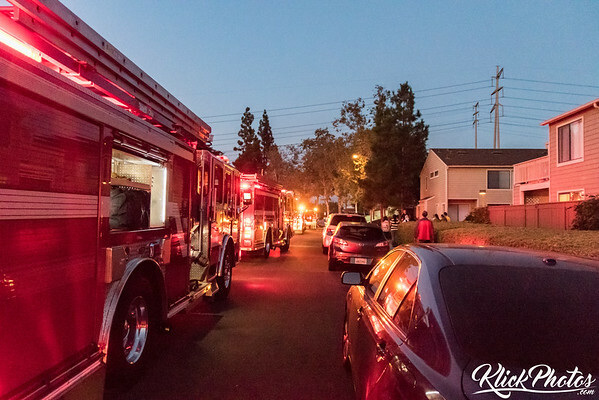 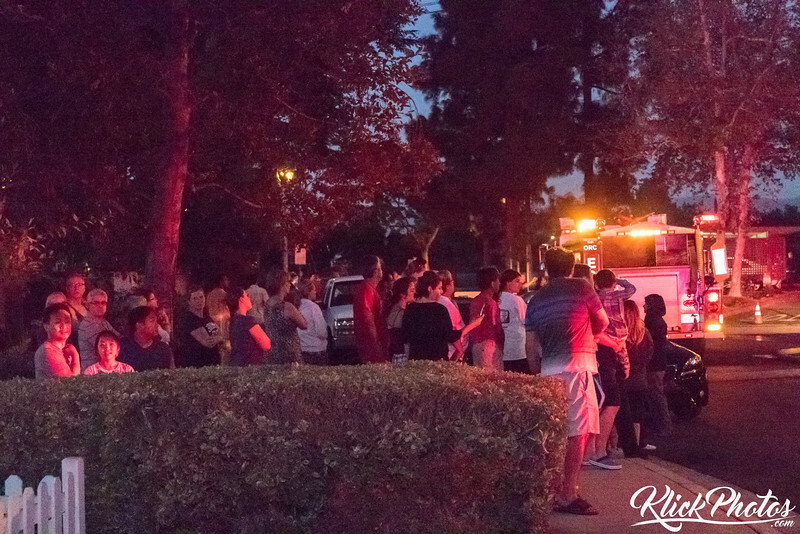 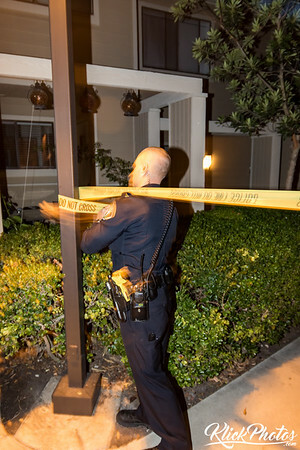 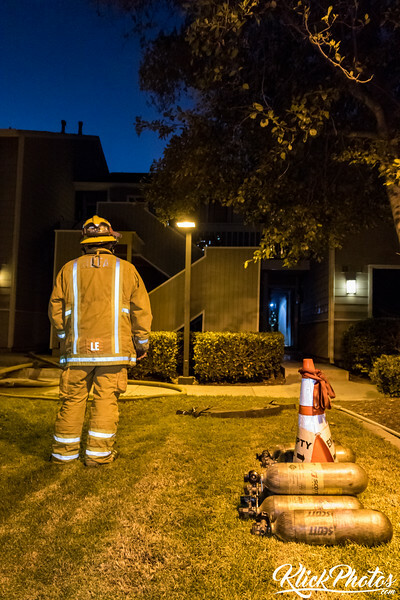 Just after 7:00 PM on Sunday evening OCFA received reports of a structure fire at the Windwood Knoll Apartments located at 2 Flagstone, Irvine, CA 92606. 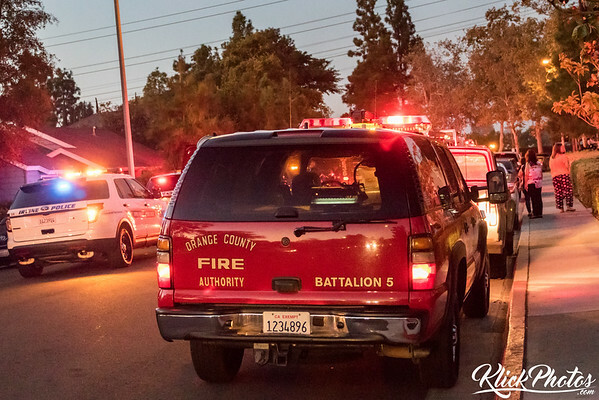 Approcimately 30 firefighters with OCFA arrived on scene to a fully involved porch and achieved full knockdown within 10 minutes of fire attack. 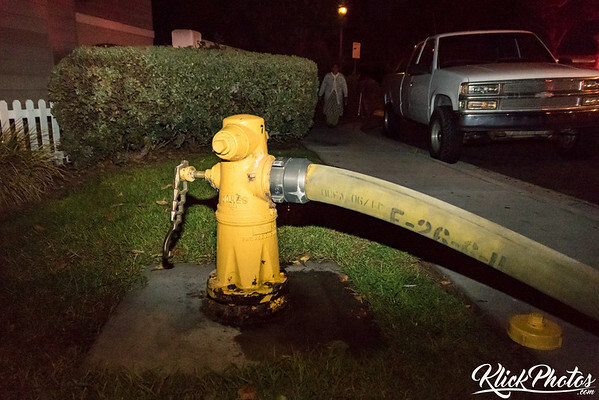 Initial efforts at locating a fire hydrant for water resources was frustrated by a Lexus unlawfully parked blocking a hydrant. 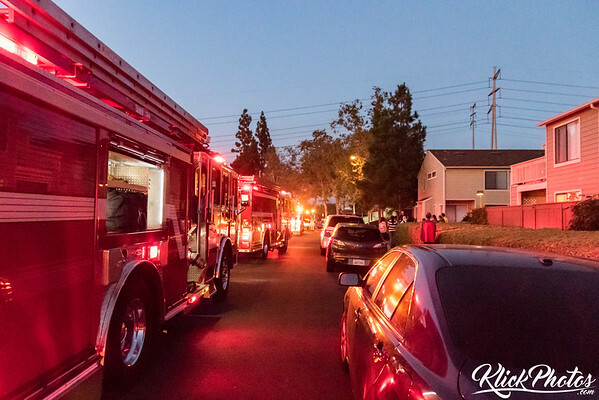 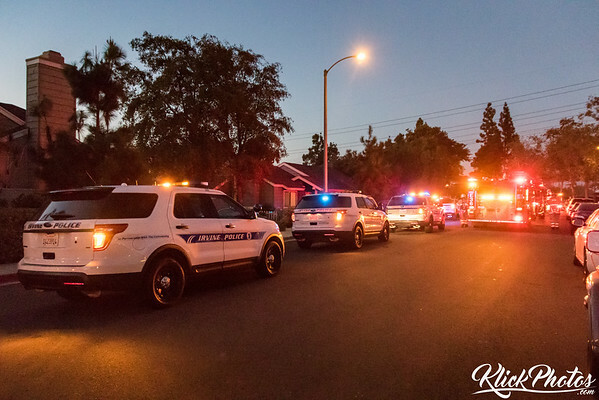 Although no injuries were reported, one cat was pronounced dead at the scene and two families were displaced. 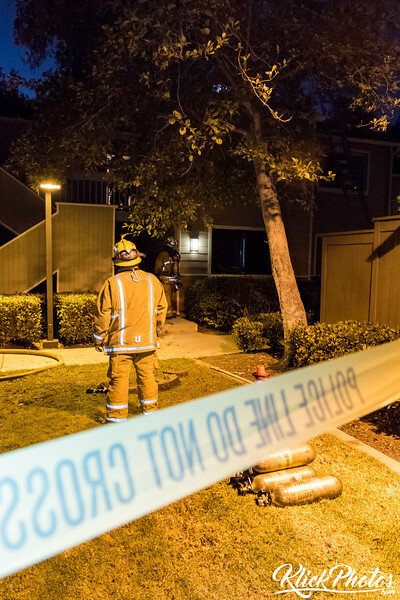 At this time the cause of the fire is unknown and under investigation. 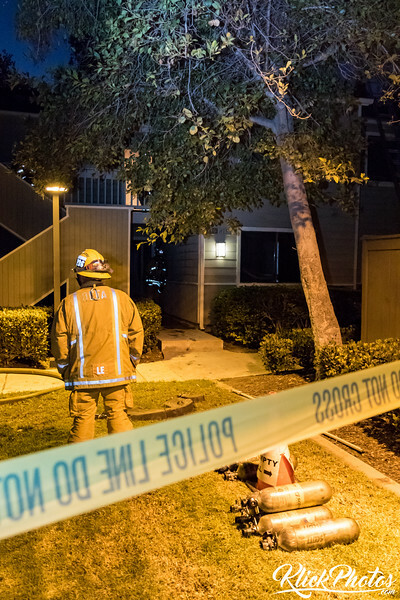 Flagstone from Deerfield Avenue was closed entirely pending overhaul and investigation.